Moving to a new living space is always a challenge. You have to organize your things, make sure you have space for everything in your new home, and manage a thousand different troubles that come with the process. 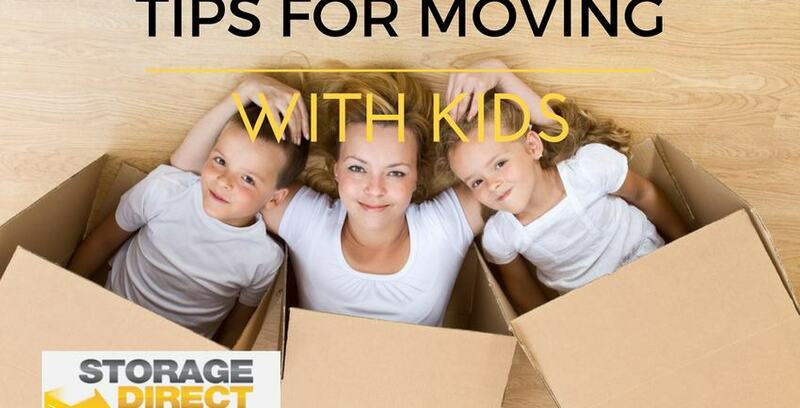 Adding kids to the mix makes everything twice as challenging, so we’ve put together this list of five crucial tips for moving with children. While we can’t take away the stress, we can at least make it easier for you to deal with. Talk to them about what’s happening. The most important part of moving with kids is making sure they understand what’s going on. Take their questions and concerns seriously, even if they ask you if your new house is haunted. A child’s perspective on moving can be challenging, because they don’t always understand what it really means. A great way to help clarify things for them is by reading some quality children’s books about moving together. Let them be involved with the process. We’ve all been there: you’re trying to accomplish something but your child is asking for constant attention, so to make everybody happy you let them take part in whatever it is you’re doing. Just like letting your little one mix the batter while you’re baking, keeping them involved in the moving process can help get them excited about everything that’s happening. Things like letting them put certain toys in boxes, write on labels, or choose a special piece of furniture for their move can turn something scary into something exciting. To a kid, every big life event is the most important, or scariest thing, that has ever happened to them. They’re going to ask the same questions over and over. They’re going to want things as soon as you’ve packed them away. Remember to be as patient as you can because while you have a lot to deal with yourselves, they don’t quite understand that. You deserve a glass of wine with dinner and they deserve to be reminded that even if you are moving to a new place, not everything in their life is changing forever. There is no need to rush unpacking after a move. In fact, even though it might seem appealing to start pulling things out of boxes left and right the second you’re in your new place, we’ve found that taking things slowly helps reduce clutter and the stress that comes with it. Take it one box at a time so your household, kids included, doesn’t feel the weight of a thousand piles of things looming over them. There are dozens of ways to add some fun to the stress of a move. Letting your kids add stickers or draw on moving boxes is one way. Another is saving boxes after a move is over for at least a few days of fort-building fun. Reminding yourself that a move is an exciting thing, despite the stress, is another important factor. Kids pick up on their parent’s emotional signals, so don’t keep yourself from enjoying the little things too. Moving can be stressful. Kids can multiply that stress by two. Storage Direct has the facilities and materials available to take some of that weight off of your shoulders and packed away in boxes like it’s supposed to be. Contact us today to learn more about how we can take the pain out of moving.